If you watch much American sport you’ll doubtless have heard commentators talk about competitors “playing with house money”. It’s a gambling term to describe when players in a casino have had a big win, pocketed their initial stake and continue to play with money earned from the house. In a sporting sense, it’s used when a team has already progressed further than expected in a tournament and that any more success would be considered a bonus. Manchester United could be described as playing with house money in the Champions League. 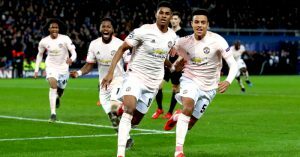 Ole Gunnar Solskjaer’s men became the first time in the history of the competition to progress to the next round having lost the first leg 2-0 at home. 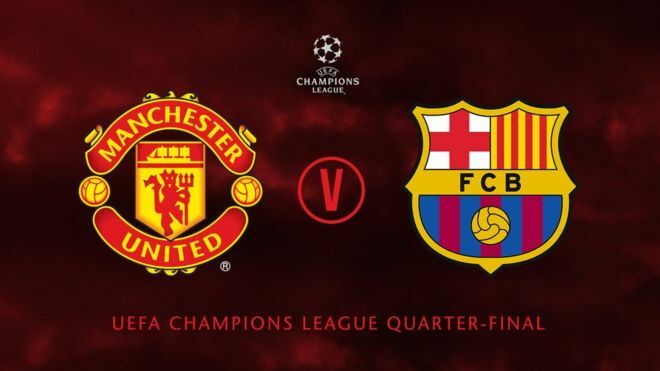 Coming back from the dead with the 3-1 win has given United a certain amount of freedom for the rest of their Champions League campaign which continues on Wednesday night when Barcelona visit Old Trafford. Barcelona produced an excellent second leg performance of their own in the Round of 16. They were far too good for Lyon at the Camp Nou and ran out 5-1 winners over the Ligue 1 side to justify their position as one of the favourites to win the Champions League outright. Barca are the favourites to continue their progression and will fancy their chances of taking a lead back to the Camp Nou to defend. A youthful Man Utd team celebrate Marcus Rashford’s late penalty against PSG. Barcelona fans have become bored of not watching the Champions League final. Their arch rivals Real Madrid have won four of the last five finals and each of the last two. Barcelona are the only other side to have won the Champions League in that time and it’s clear that everybody at the club is desperate to do so again, especially since Real were sent packing by Ajax. If Barcelona are to boost their Champions League chances with a win over Man Utd they’ll need to quickly recover from the effort they put in during Saturday’s Liga match against Atletico Madrid. By contrast, United had a rare weekend off giving them ample time to get over the recent loss against Wolves and for Solskjaer to come up with his plan for the match. As positive as Man Utd have been under Solskjaer, those plans will be as much about stopping Barcelona as how to hurt them offensively. Barcelona have had their problems this season but they’re hitting form at just the right time and have several attacking players capable of winning a big Champions League game on their own. That makes the price of 21/20 that Unibet are quoting about the away team’s chances of winning look very generous from a betting perspective. The main concern that Man Utd fans will have about Wednesday’s match is their defence. United haven’t kept a clean sheet since the goalless draw against Liverpool at the end of February and have conceded two goals in four of their last six in all competitions. That is not good news with Lionel Messi, Luis Suarez and Philippe Coutinho on their way to Old Trafford. PSG had little trouble creating and taking chances against United but the most worrying thing about that match was that they failed to have a single shot on target. Barcelona are every bit as good on the ball as PSG and will have no problem dominating possession on Wednesday night. If Barca can take an early lead they should be able to control the game and restrict the home side to just a few chances. When it comes to your Correct Score betting, that suggests the Barcelona 2-0 option is very well priced at 10/1 with Coral. Lionel Messi has scored in two Champions League finals against Man Utd. Real Madrid’s recent dominance of the Champions League hurt Lionel Messi as much as any other Barcelona player. The Argentine genius has been locked in a personal battle against Cristiano Ronaldo for much of his career and he’s looked like a man possessed at times this season in his quest to equal Ronaldo’s record of five Champions League wins. It seems strange to talk about Messi being in good form as he almost always is but there’s little doubt he’s stepped things up in recent weeks. Messi is the understandable favourite to open the scoring on Wednesday night but still looks a good bet at 17/5 with 888Sport.